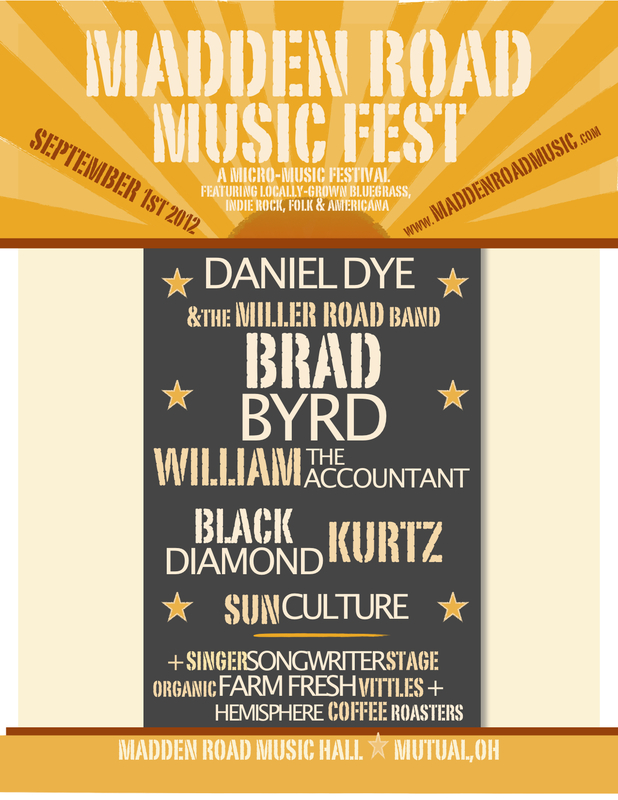 Madden Road MusicFest Tickets are HERE! 2pm – 11pm on Saturday, September 1st, 2012. Click HERE to purchase. 2pm – 7pm on Saturday, September 1st, 2012. Click HERE to purchase. 7pm – 11pm on Saturday, September 1st, 2012. Click HERE to purchase. Previous 2012 Band Announcements Coming! Next 2013 Madden Road Music Festival!